in the USA Since 1937. 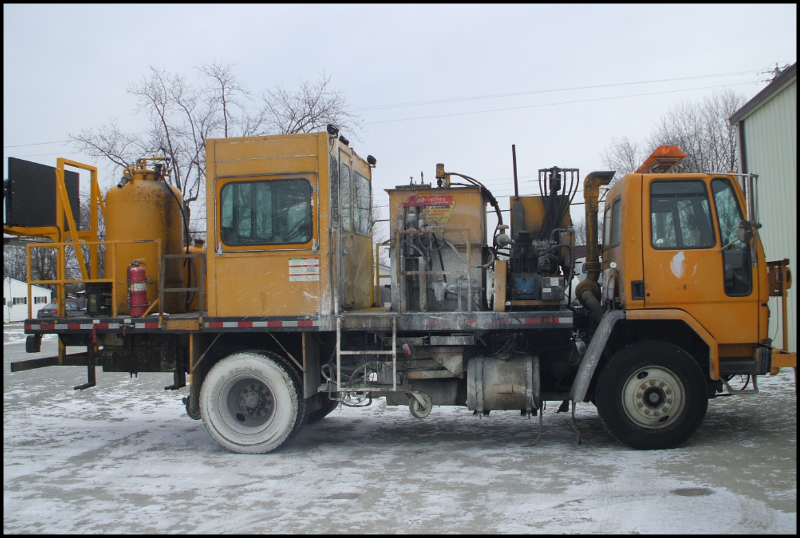 Kelly-Creswell offers used striping equipment for sale including used Heavy Duty C portables for parking lot striping and athletic marking, used WV-50 intermediate ride on stripers & used 2000 series pallet mounted stripers and used WV-3 truck mounted stripers. 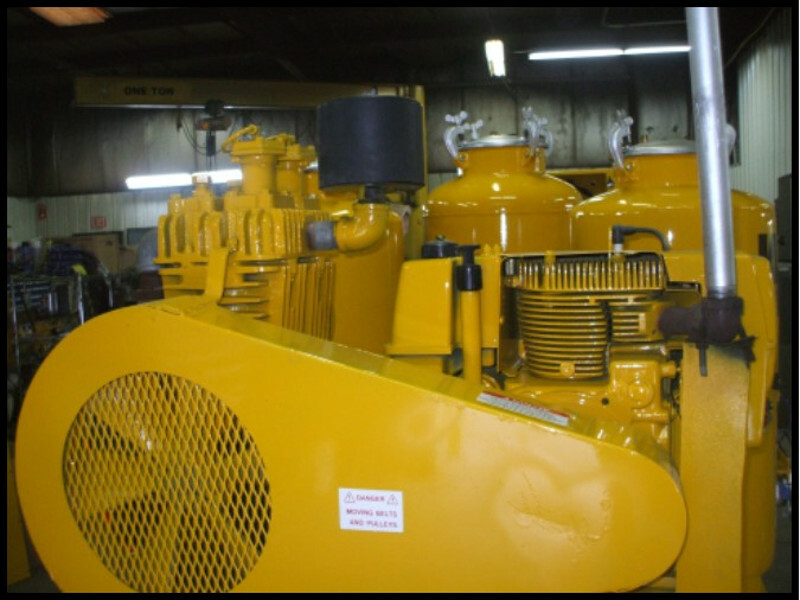 We also offer used and reconditioned components. 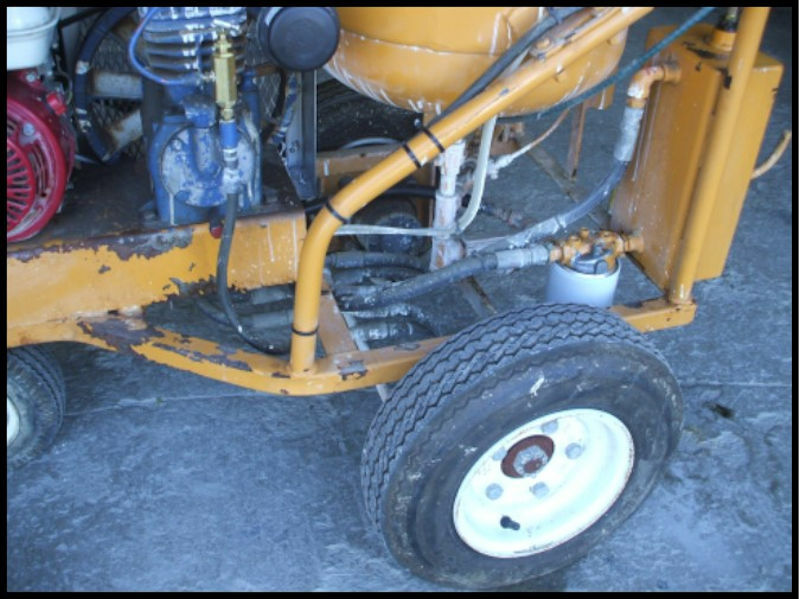 Give us a call and we will give you an honest assessment on the condition of the equipment. Used equipment is sold "AS IS" and if reconditioned we offer a limited warranty. Our inventory changes regularly, so check back often. If you don’t see what your looking for, give us a call we can most like find it. 2007 GMC T7500 Chassis, serviced with DOT certification, and under 107,000 miles. 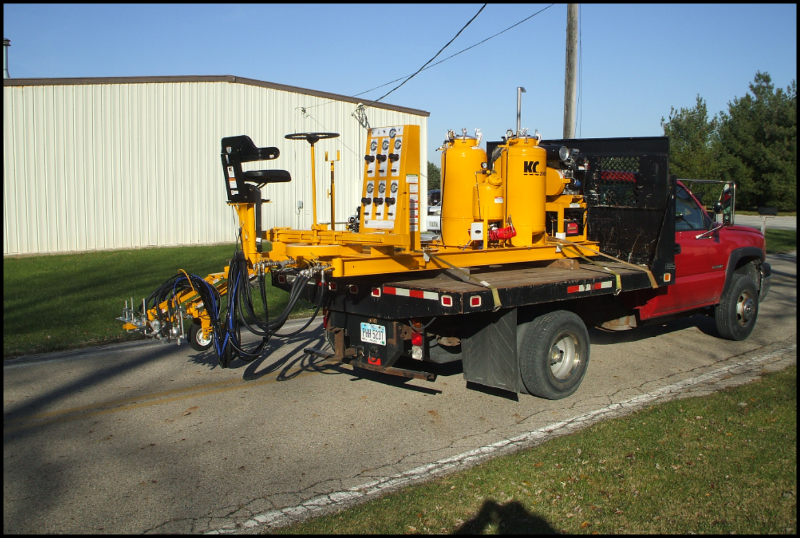 Equipped with two Titan/SpeedFlo 8.6 GPM Airless Paint Pumps, two 1-1/2" Diaphragm Loading Pumps with hoses and stingers, and Dual 250 gallon Tote Holders. 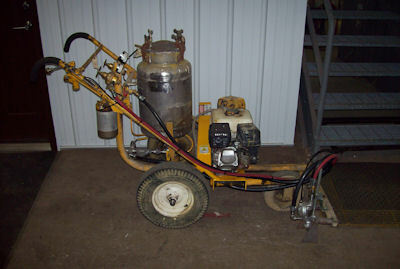 Four Airless Paint and Bead guns. 2007 GMC T7500 Chassis, serviced with DOT certification, and under 107,000 miles. 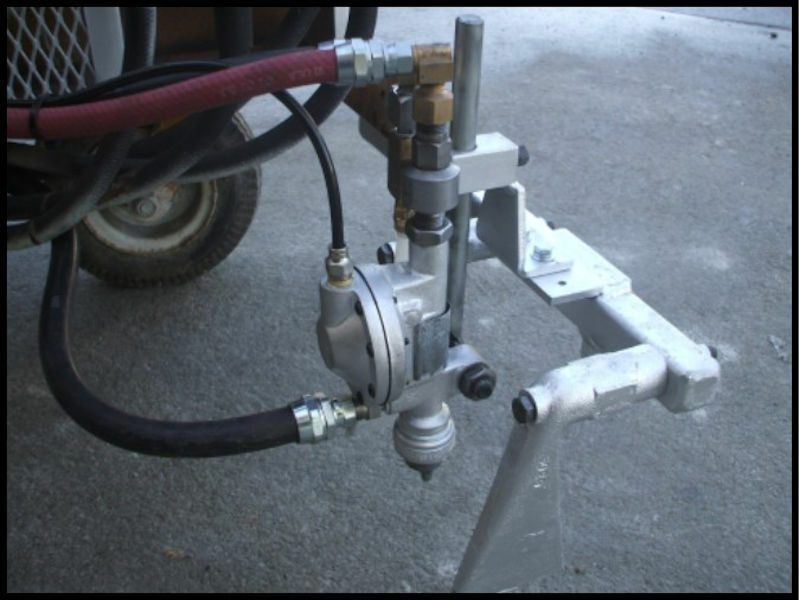 Two New Titan/SpeedFlo 8.6 GPM Airless Paint Pumps. 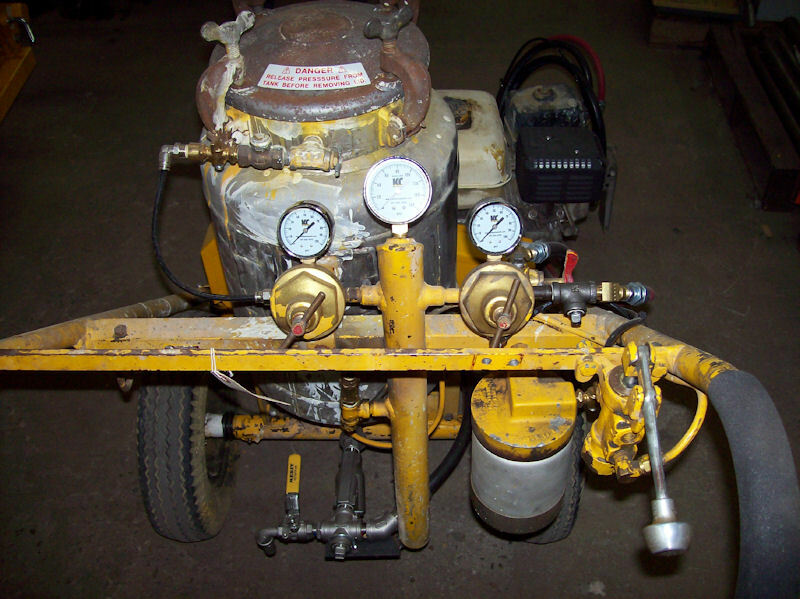 Two 1-1/2" Diaphragm Loading Pumps w/hoses and stingers. One New 3600# CS Bead Tank with Vacuum Bead Loading. 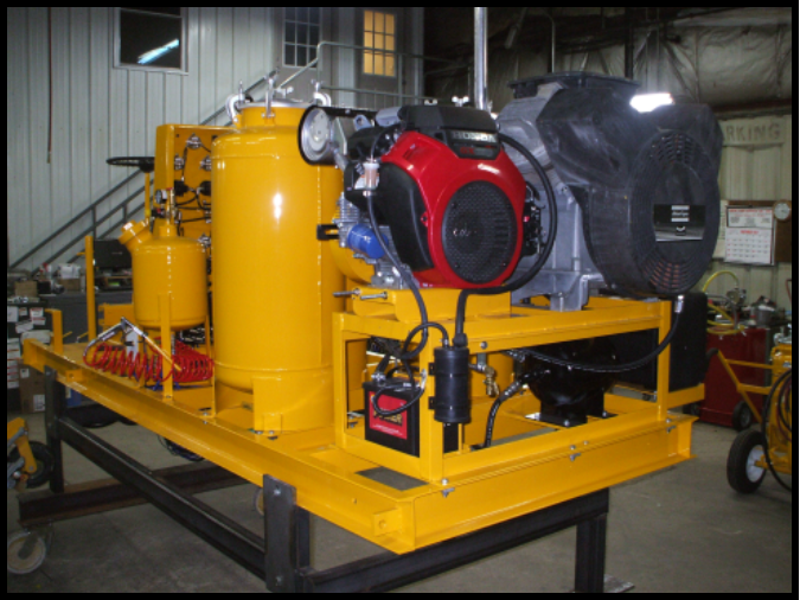 New BOSS 80 CFM Hydraulic Rotary Screw Compressor. 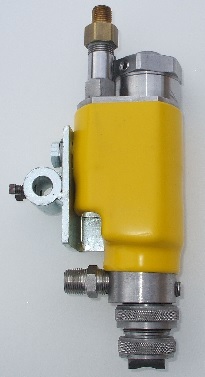 New 61cc Pressure Compensated Hydraulic Pump. New Kubota V200MTE 55 HP Engine. 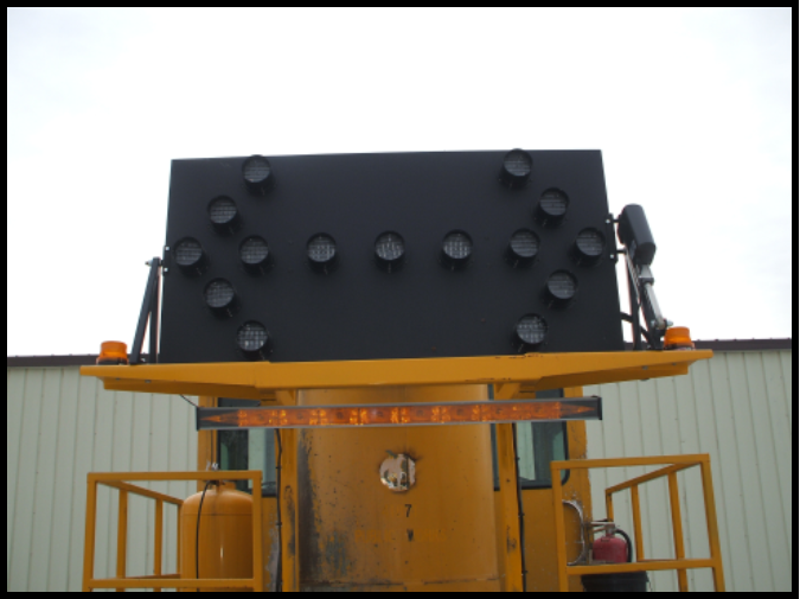 New WANCO 48" x 96" Arrow Board with Lift. 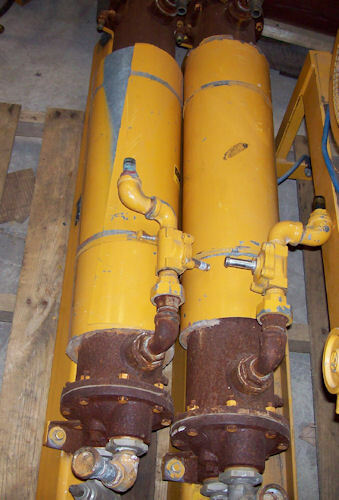 Two Serviced Mark 40D Skipline Controllers. Four Rebuilt KC-700SS Airless Paint Guns. Four Rebuilt Binks Model 30 Bead Guns. Heavy-Duty 5400 Series Gun Carriage. New 48" Light Bar and 6 Strobes. New KC-78C Intercom System, with 3 Headsets. No Warranty on the Chassis. 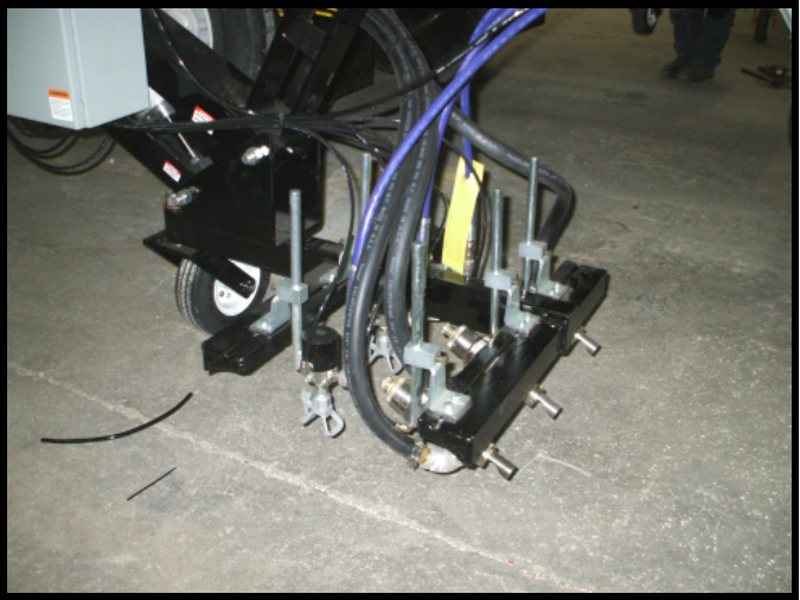 12 Month Warranty on the striping unit for defective Parts and Workmanship. Used 2000-AS palletized striping unit with Rack and Pinion Steering, 2 - 25 gallon SS Paint Tanks and a 300# CS Bead Tank. 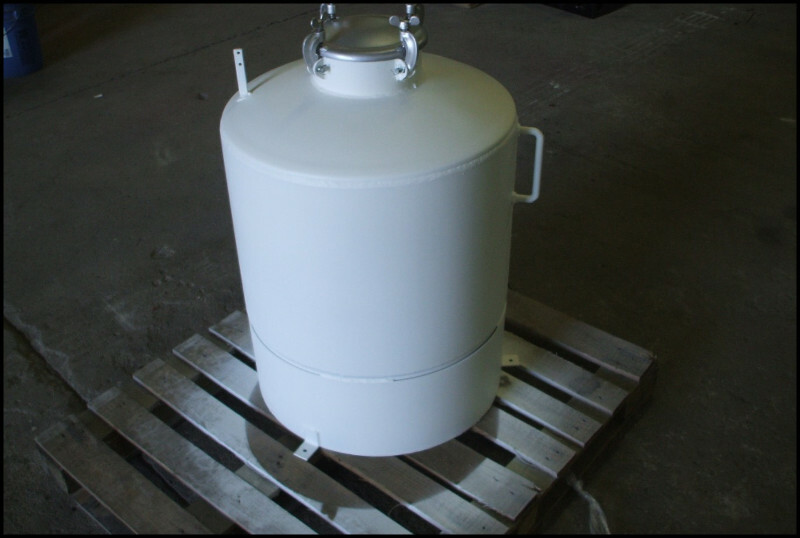 (2) 25 Gallon SS Paint Tanks with 10" Lids. 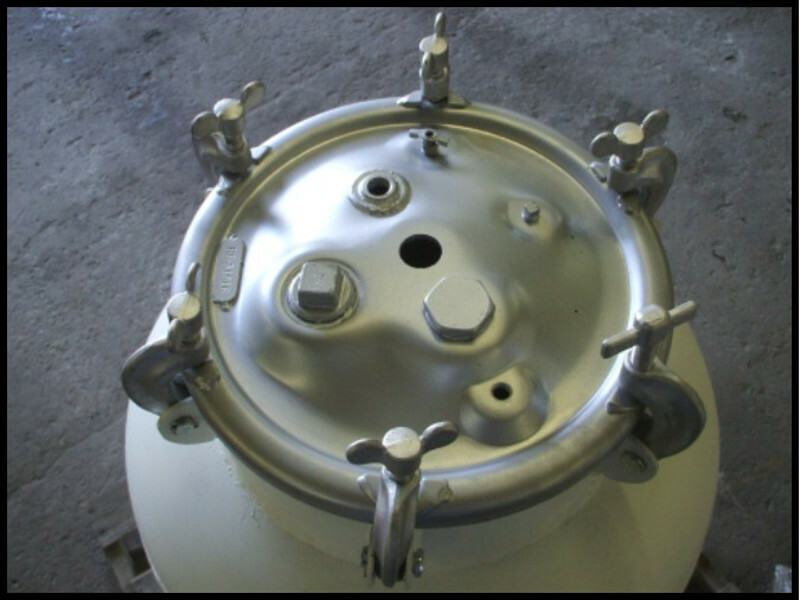 (1) 300# CS Bead Tank with 10" Lid. 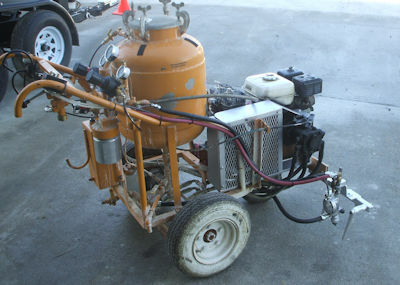 (1) 3 Gallon SS Cleaner Tank with NEW Dusting Gun. All Stainless Steel Paint Plumbing. 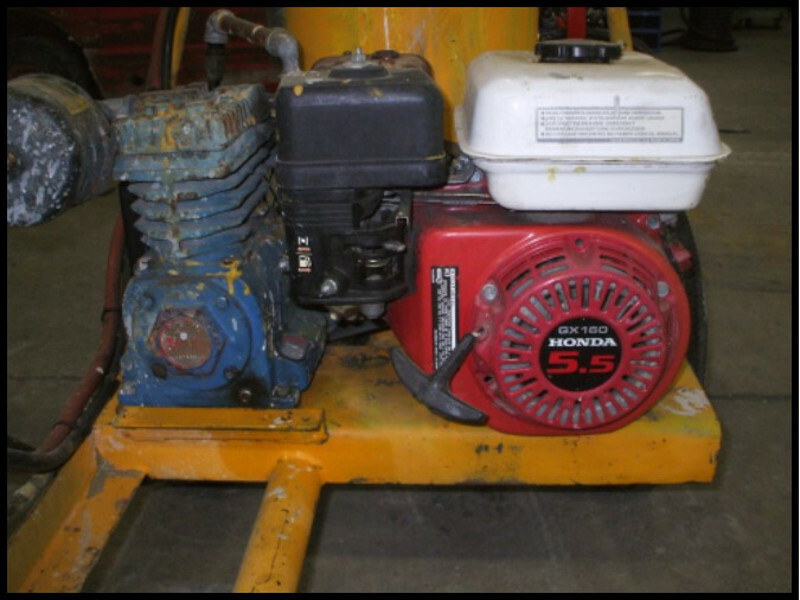 Serviced Kohler Engine with Electric Start. NEW Heavy Duty, Automotive Battery. 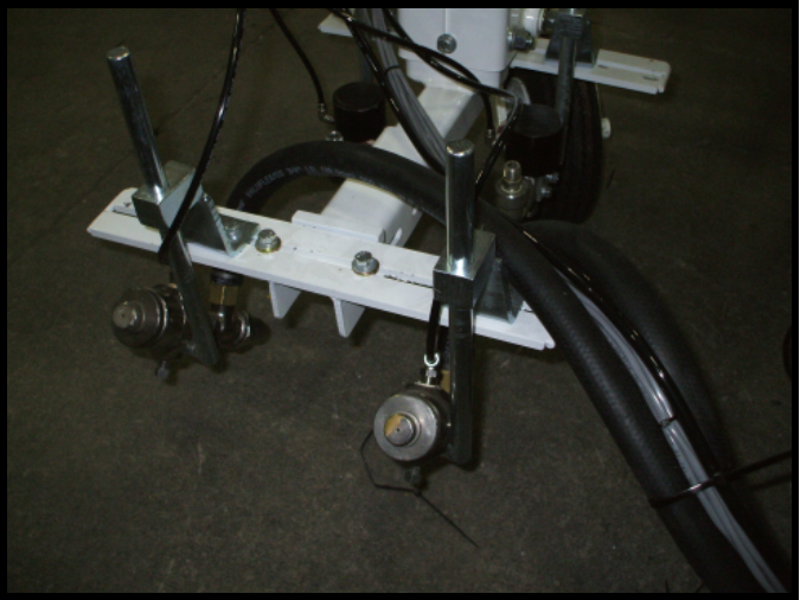 Heavy Duty Engine Base and Belt Guard. 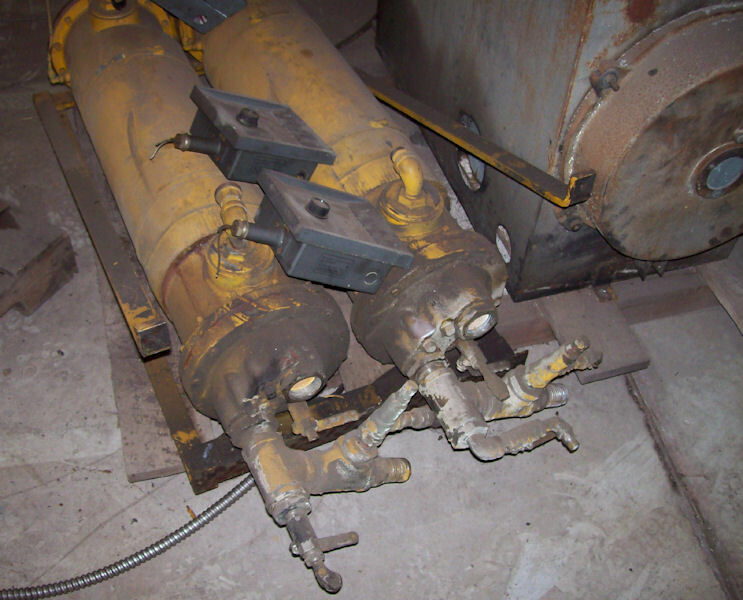 (3) KC-600 Pressure Bead Guns—REBUILT. (1) Refurbished M40D Skipline Controller. NEW Rear Mounted Operator's Control Panel. 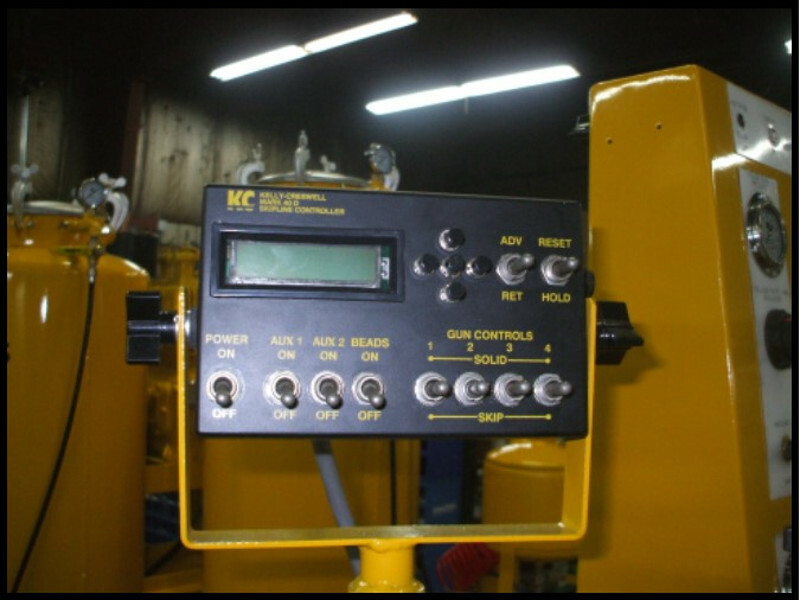 NEW Gauges, Regulators, Moisture Trap & Lubricator. All NEW Hoses, Wiring and Nylon Tubing. 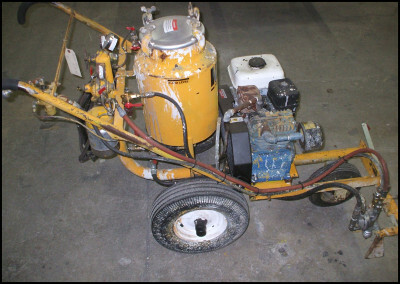 Used Kelly-Creswell HDC-CS, 5 gallon carbon steel paint tank with 10" lid, all carbon steel lower plumbing, rugged KC frame, simple air atomized system for application of all paint types. 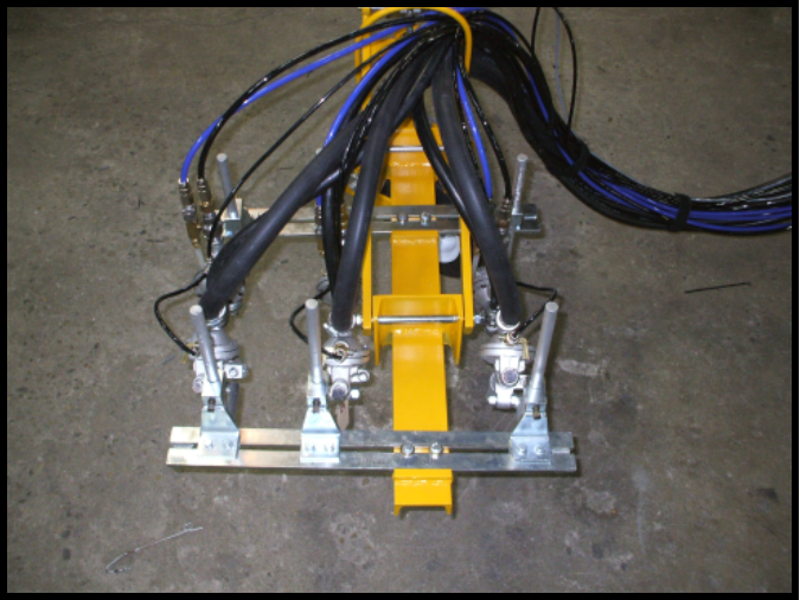 Line widths 3" - 6"
Kelly-Creswell paint striper mounted to a 2013 Isuzu NRR, 19,500 GVW Chassis, with a current DOT passing inspection. 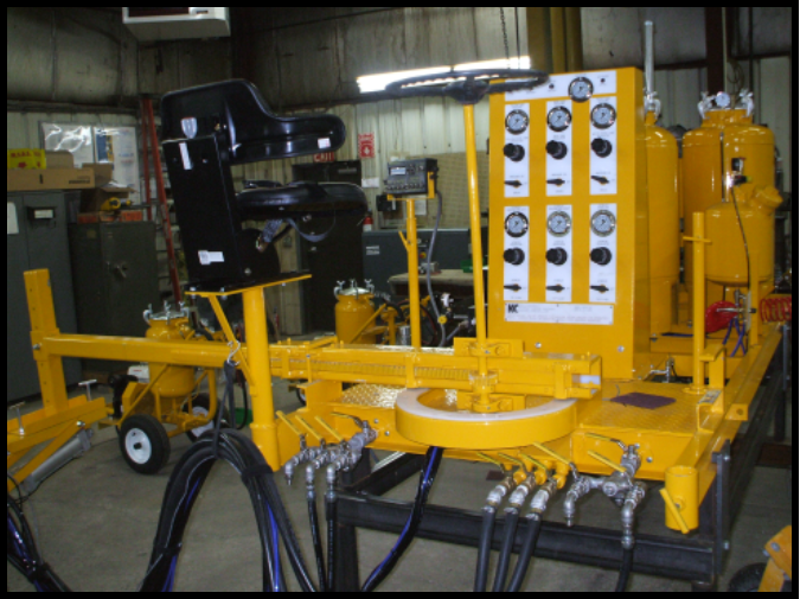 This unit has a 90 Day Limited Warranty on the striping components. Chassis is a 2013 Isuzu NRR, 19,500 GVW. 2 - M40D skipline controllers. 3 - KC-700 Airless Paint Guns - Rebuilt. 3 - Binks Model 30 Bead Guns - Rebuilt. 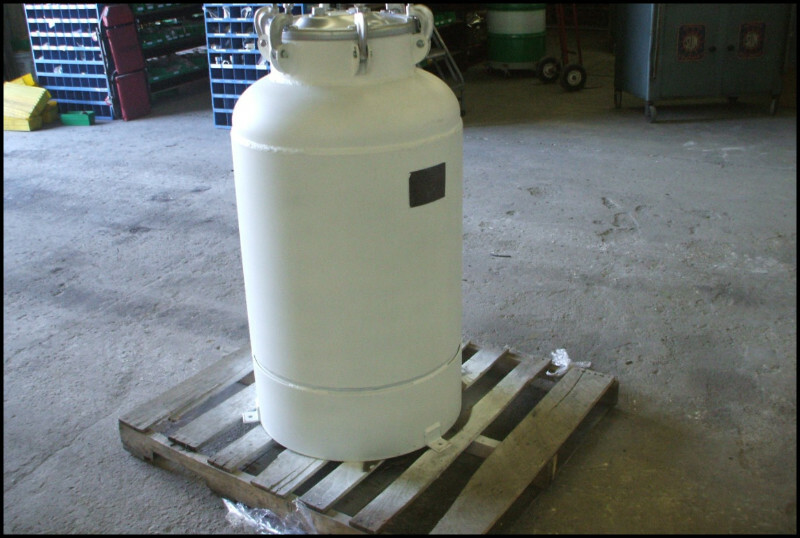 2 - 75 gallon SS paint tanks with hydraulic agitators. 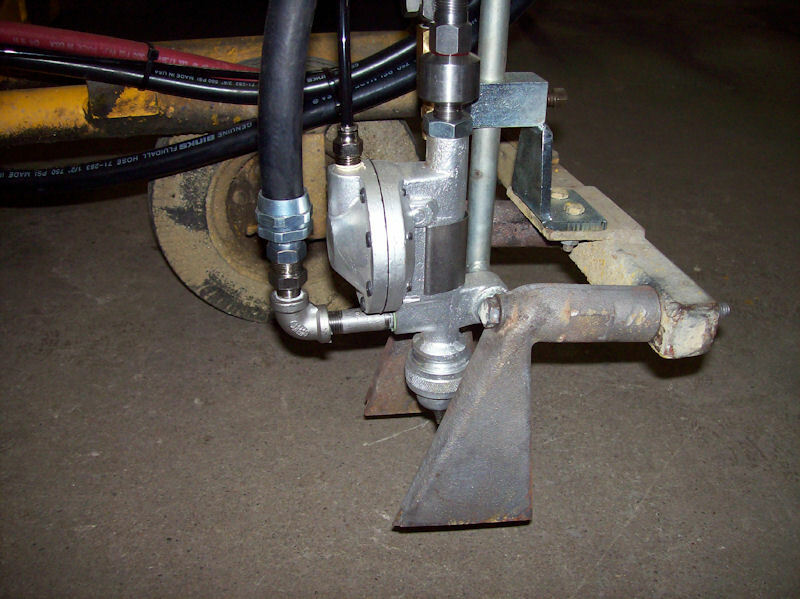 2 - 8.6 gpm airless paint pumps. 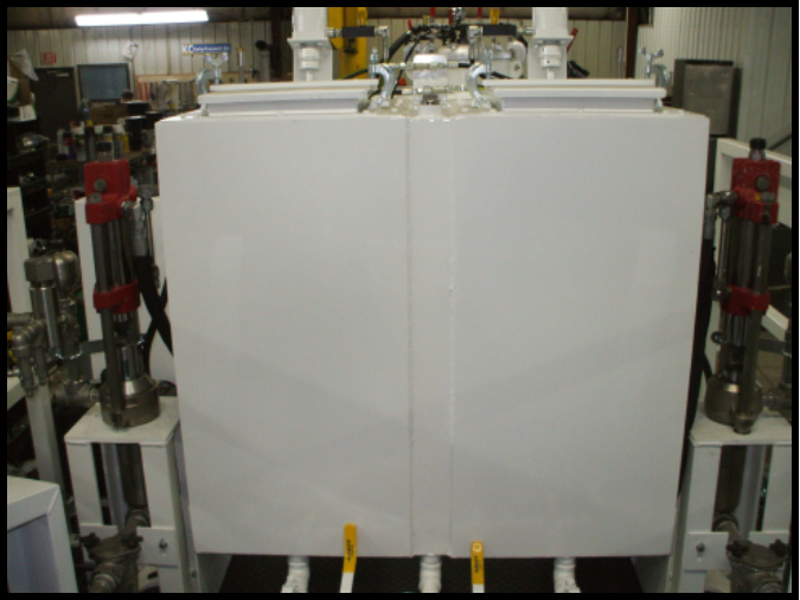 1 - 1200# CS Bead Tank with vacuum bead loading. 1 - 3 gallon air receiver. 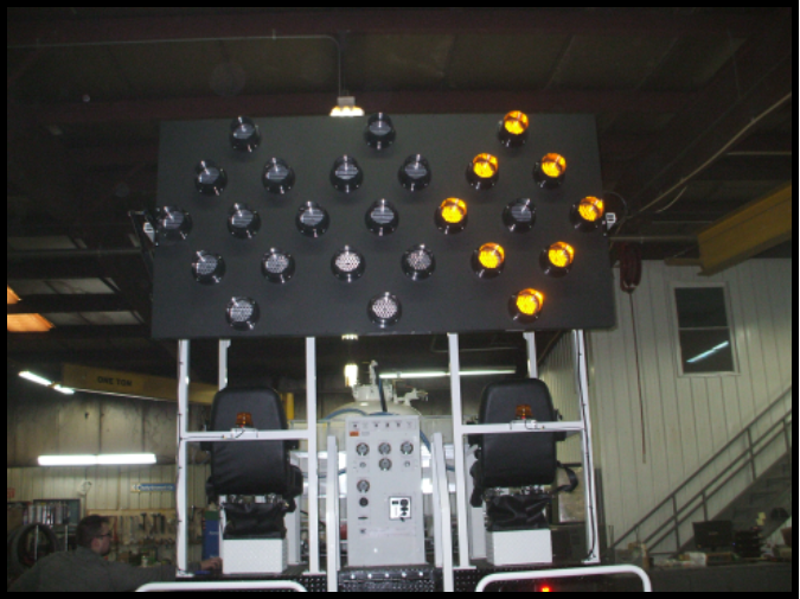 2 - Air Ride Operators Seats with Seat Belts. KC-78C intercom system with headsets. 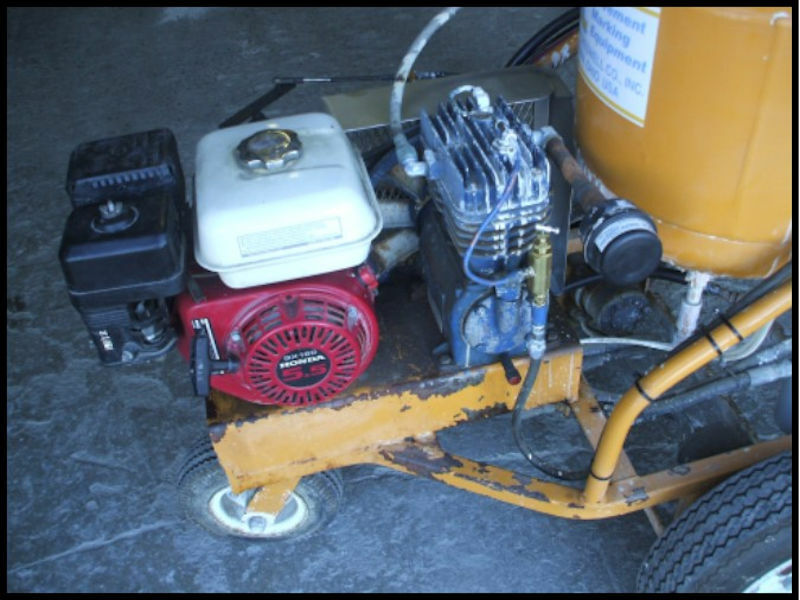 Used 20 HP Honda Engine with Electric Start. New Solenoids, Gauges, Regulators, Moisture Trap & Oiler. 15 Gallon Hydraulic Tank & 6 Gallon Fuel Tank. 90 Day Limited Warranty on the Striping Components. Complete Set of Safety Stickers. Complete Set of CAD Drawings. Call for price and additional information. 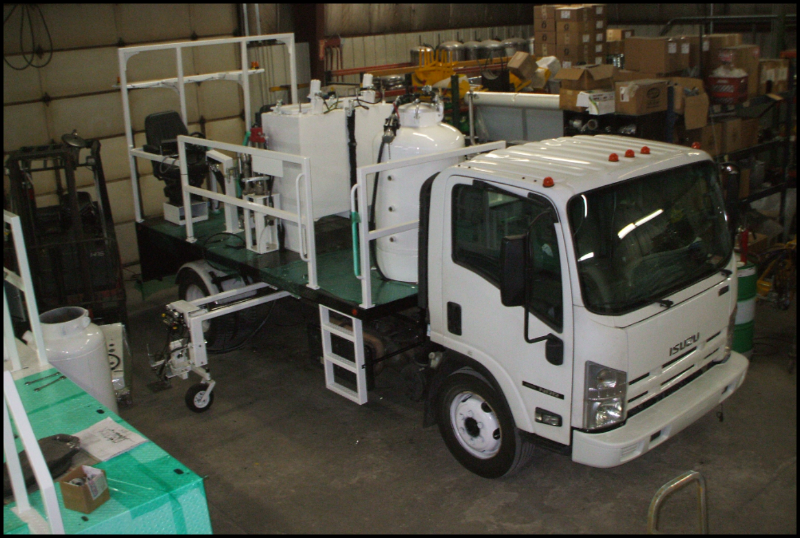 Refurbished 2000-AS palletized striping unit with Rack and Pinion Steering, 2 - 25 gallon SS Paint Tanks and a 300# CS Bead Tank. 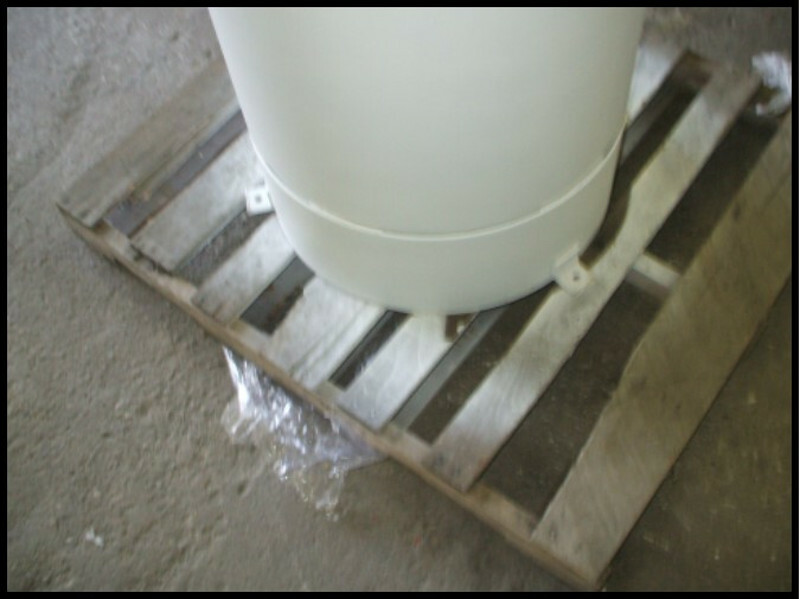 (2) 25 Gallon SS Paint Tanks with 10” Lids. 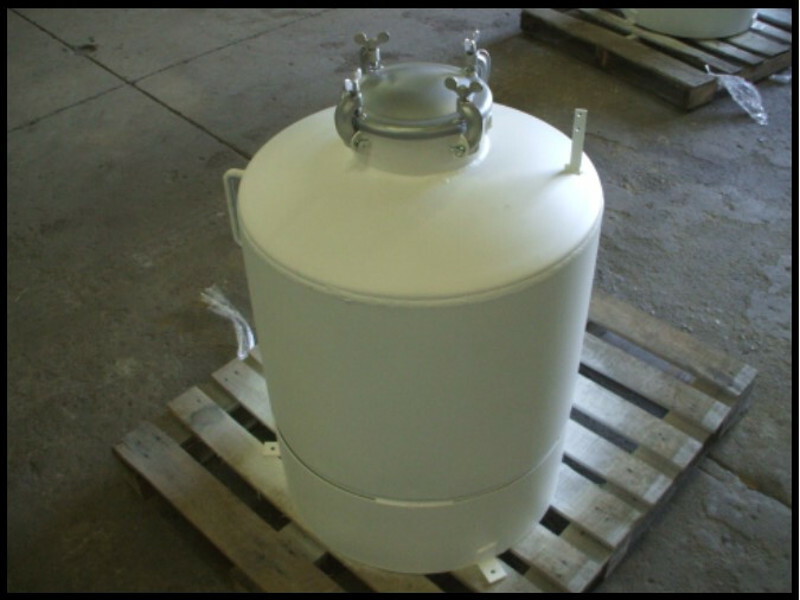 (1) 300# CS Bead Tank with 10” Lid. NEW 20 HP Honda Engine with Electric Start. 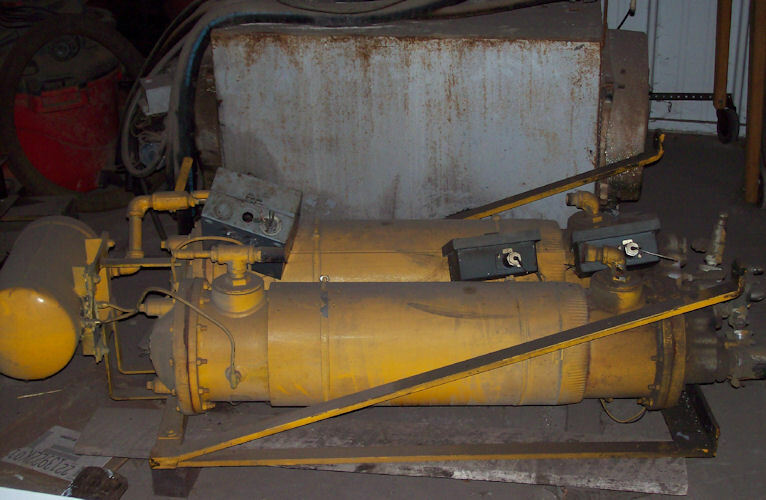 Refurbished Atlas Copco Air Compressor. NEW 6 Gallon Capacity Fuel Tank with Fuel Pump. 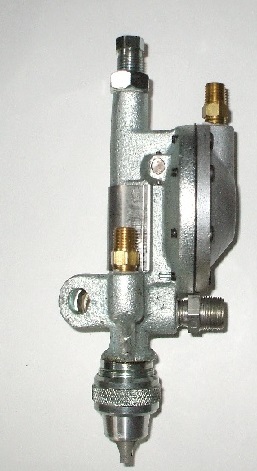 (1) 1 Gallon Air Receiver. NEW Rear Mounted Operator’s Control Panel. 1994 Kelly-Creswell Truck Mounted Striper is built on a FORD CF-8000 Chassis. The striping components were completely redone in 2011. Kelly-Creswell has all the service records for this unit. 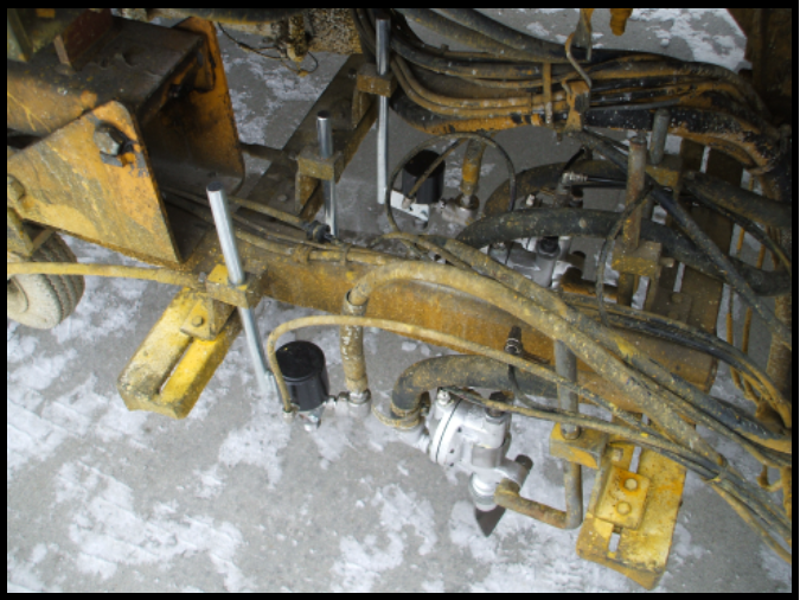 Chassis is a 1994 diesel FORD CF-8000. 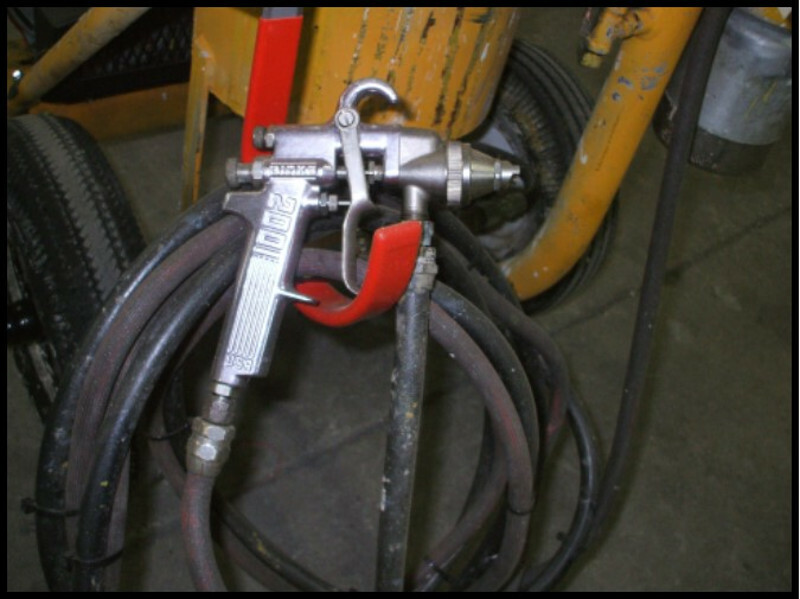 4 - KC-700 Airless Paint Guns (3 - centerline & 1 - edgeline). 4 - KC-600 Bead Guns (3 - centerline & 1 - edgeline). 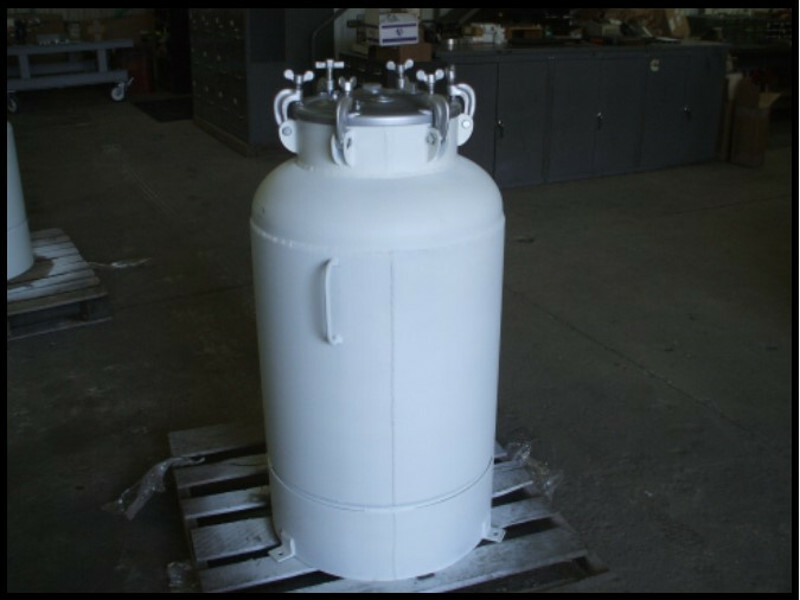 2 - 200 gallon SS paint tanks with hydraulic agitators. 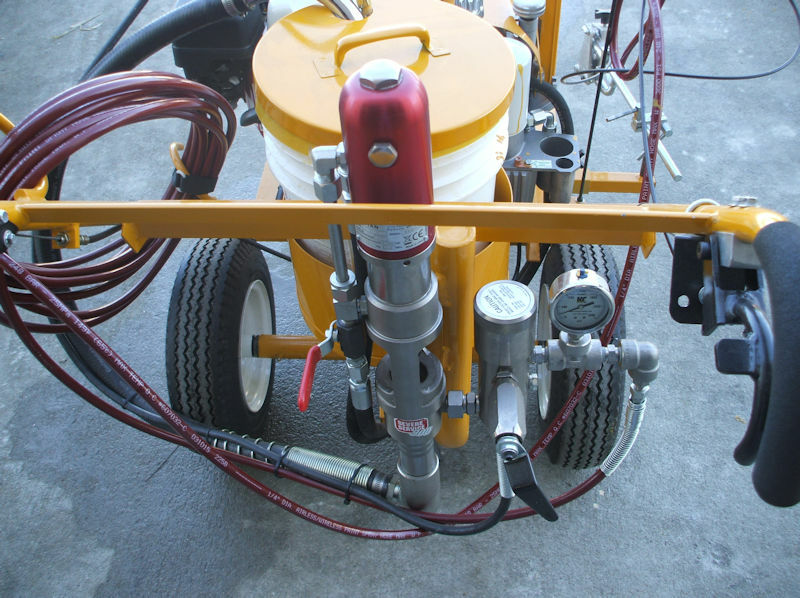 2 - 8.6 gpm airless paint pumps, new in 2011. 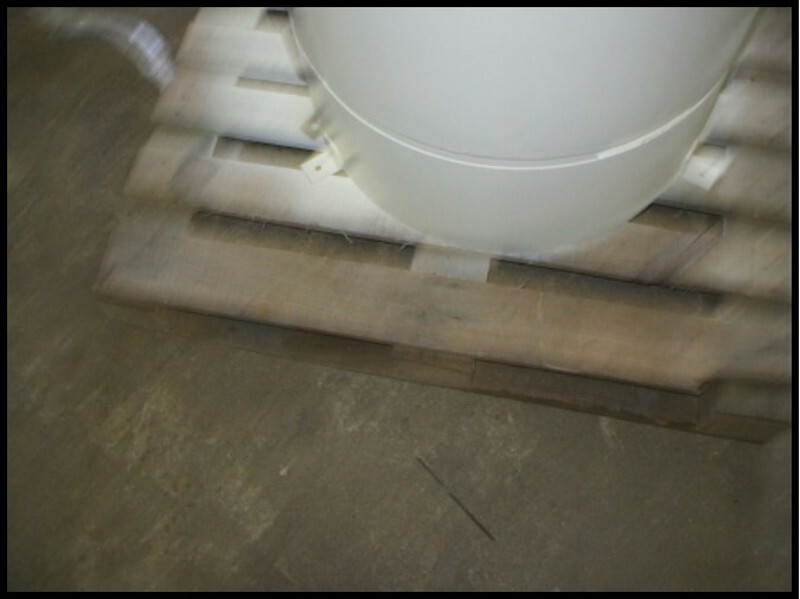 1800# CS Bead Tank with vacuum bead loading. 20 gallon SS cleaner tank. 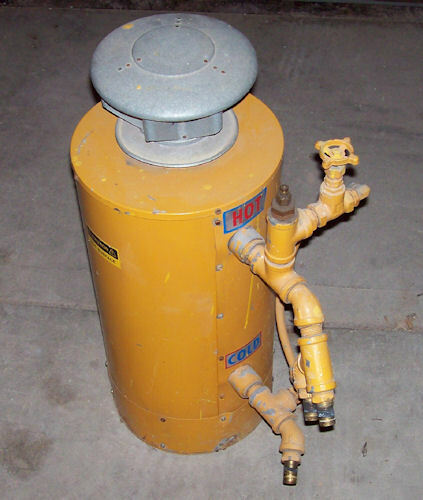 1 - 10 gallon air receiver. Rear operator cab, with fold out windows & seat assemblies. 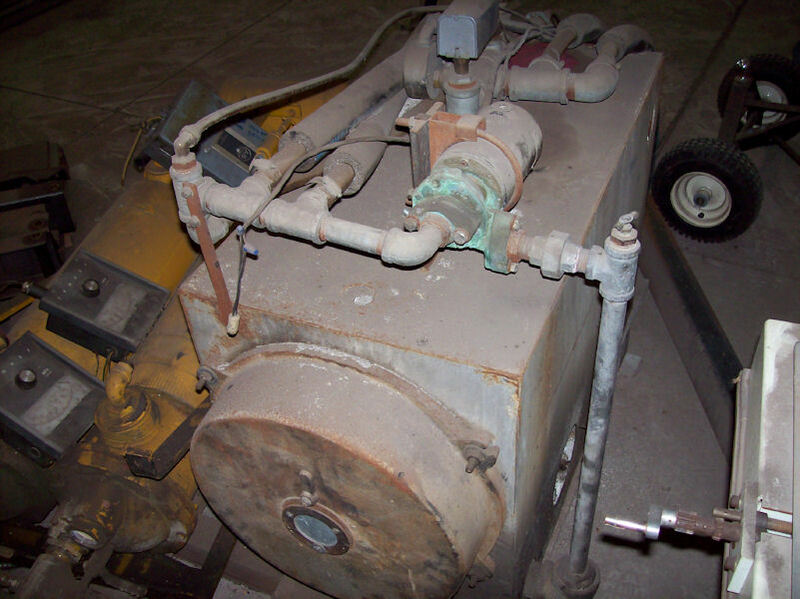 Quincy Model 240 air compressor. 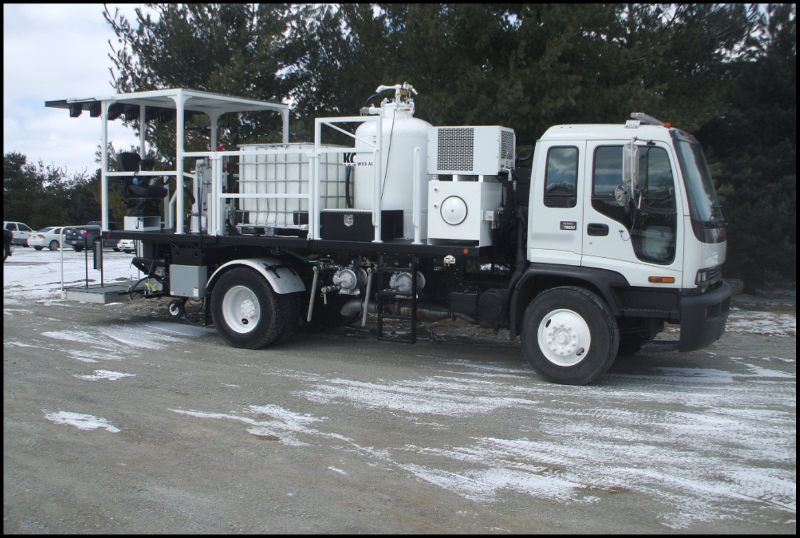 Refurbished B4-SS Hydrostatic self-propelled unit with a Honda 5.5 HP Engine, Quincy Air Compressor, One rebuilt KC-593NBSS-F Paint Gun. This unit is ready to stripe. 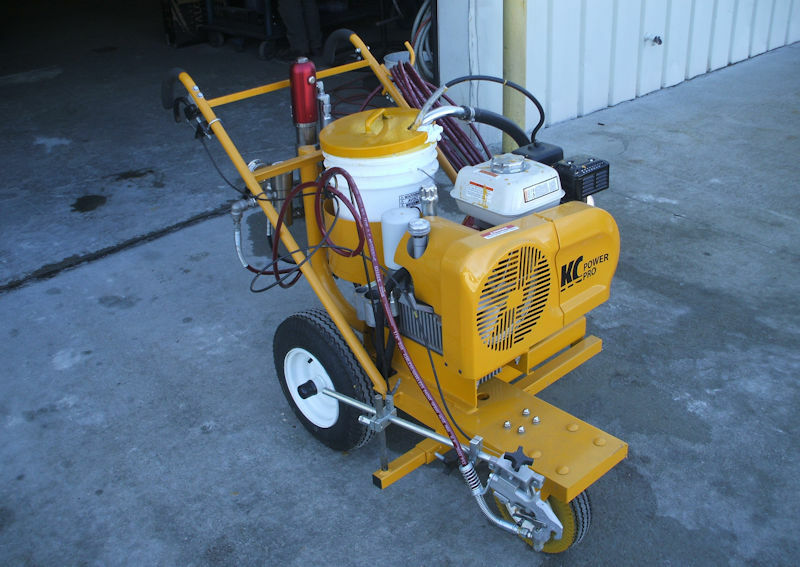 Kelly-Creswell Power Pro Plus Single Gun Airless Walk Behind Striper, 5 gallon pail holder with sealed bottom, detachable hand gun with 50’ of paint hose for remote stenciling, rugged KC frame. 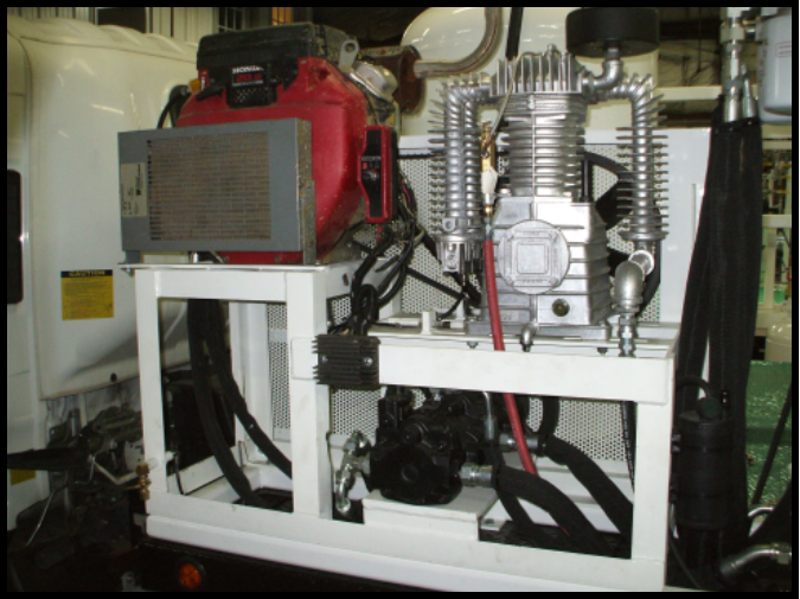 Refurbished HDC-SS unit with a Honda 5.5 HP Engine, Smith 143 Air Compressor. This unit has been completely gone through, serviced and is ready to stripe. 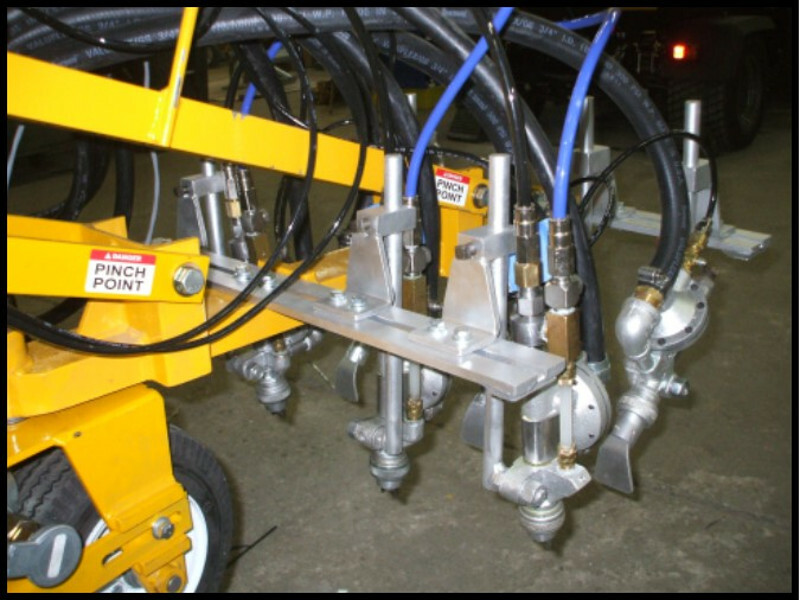 Kelly-Creswell 593 series striping guns are automatic diaphragm operated internal mix spray guns designed to meet the rigorous requirements of highway, municipal and industrial striping. 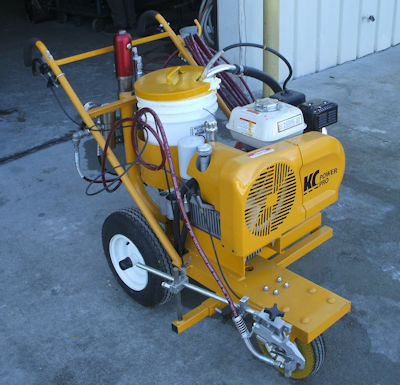 The Kelly-Creswell 593 series striping guns a proven performer with over 50,000 units sold! Produces a completely atomized fan shape with square cut beginnings and endings. Available in three sizes with multiple air caps for varying spray patterns ranging from 2 - 9 inches. Available in bleeder configuration for oil based paints and non-bleeder configuration with exclusive tip flush capability for latex paints. 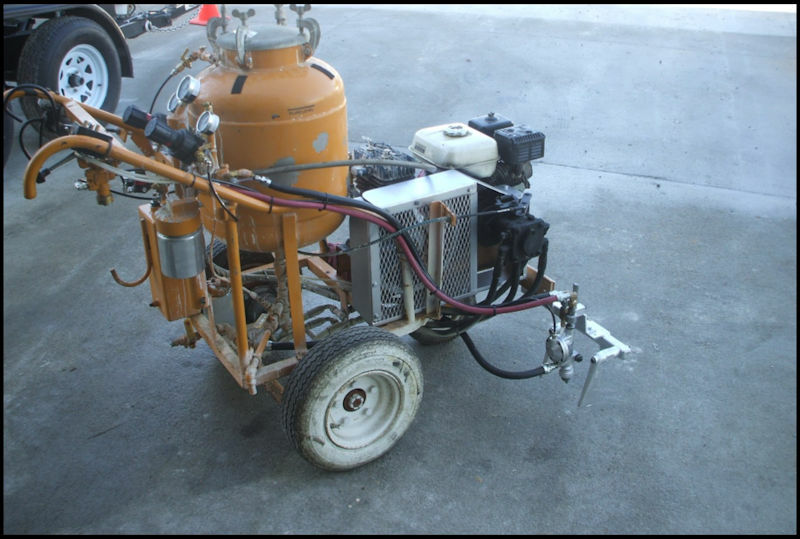 Large ports and internal components are designed to spray even the heaviest traffic paints. 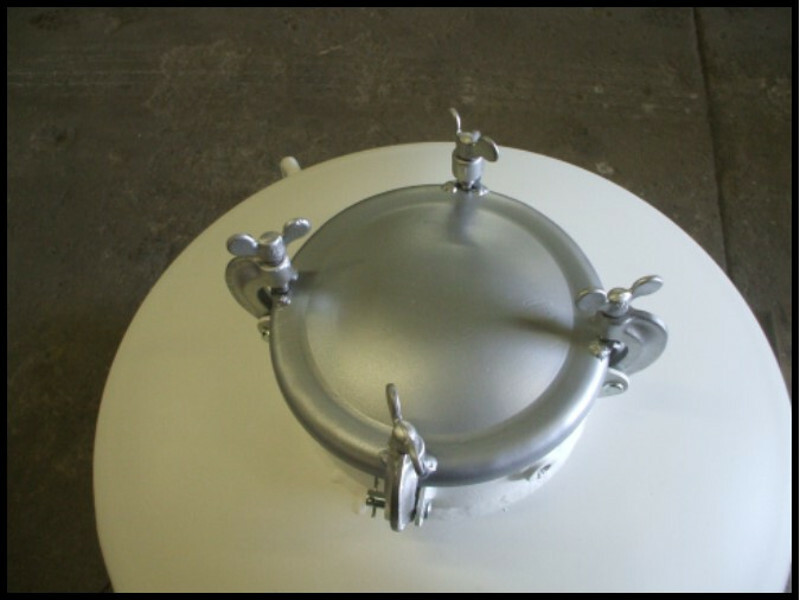 Stainless steel internal parts for compatibility with latex/water based paints. Parts, service available from Kelly-Creswell a name that has defined striping since 1937. 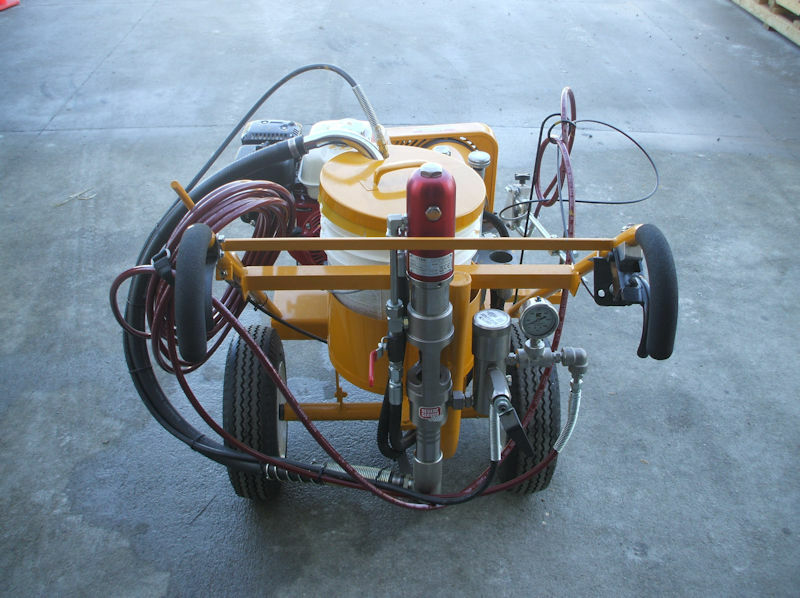 Nautilus series striping guns are designed to apply all waterborne, alkyd base and heavy VOC traffic paints. Available in two sizes Nautilus 15 and Nautilus 20 with multiple nozzles for varying spray patterns ranging from 4 - 12 inches. Available in bleeder and non-bleeder configuration with the Kelly-Creswell exclusive “Flush On The Fly” capability. Large ports and internal components are designed to spray even the heaviest traffic paints including premix. 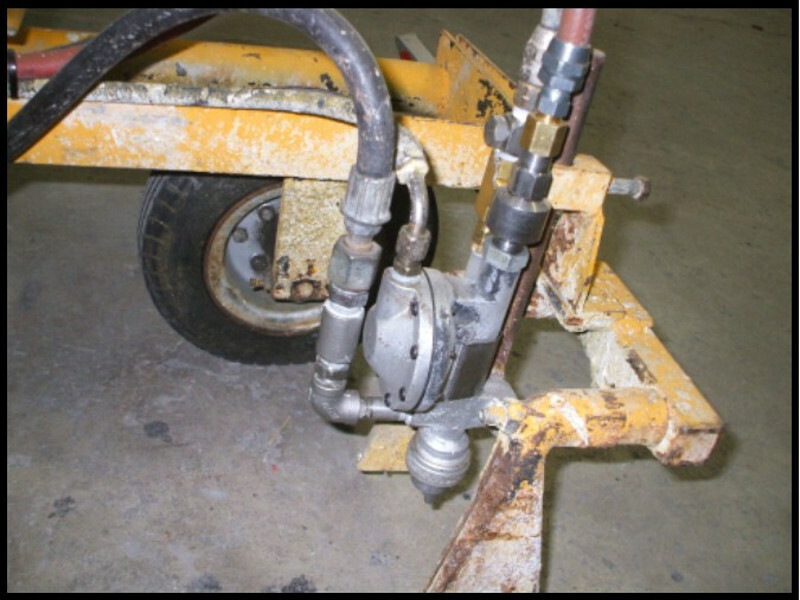 Hardened exterior nozzle insures long life. Square cut beginnings and excellent delineation. Application speeds 8 - 18 MPH. 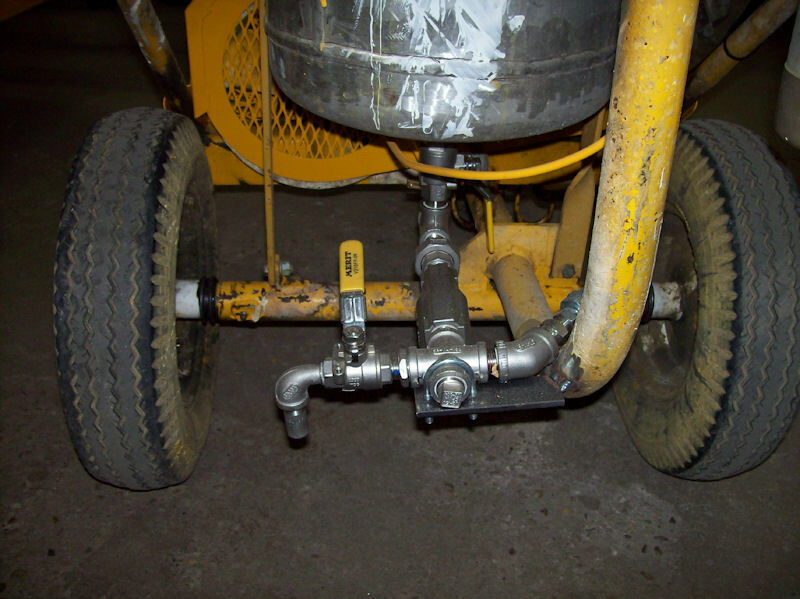 Replacement parts interchangeable with Kamber. 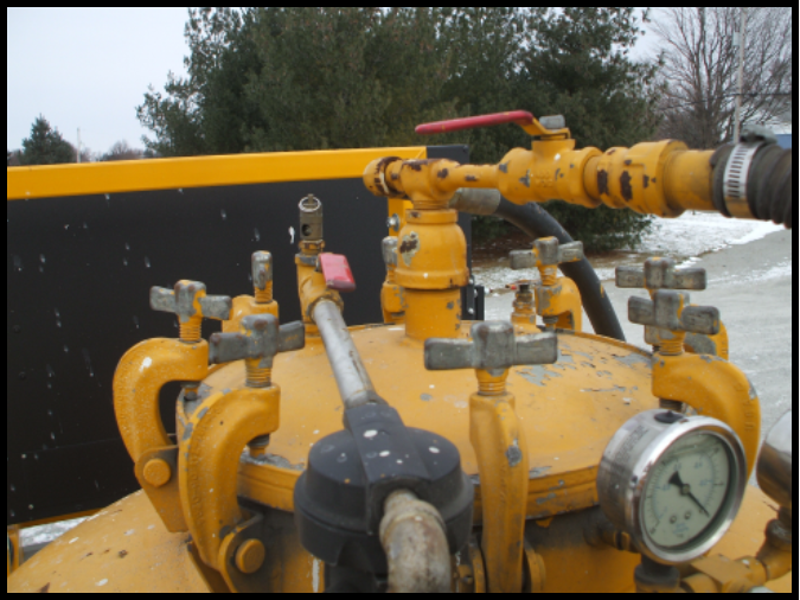 Used Paint Heating System, two each 6” X 36” Basco four pass heat exchangers, stainless steel tubes with cast iron bonnets, 65,000 BTU propane fired boiler, expansion tank, mounting brackets for heat exchangers. 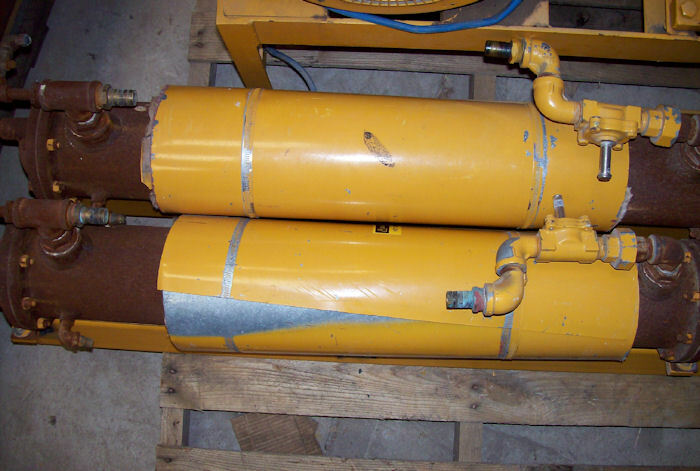 Two each 6” X 36” Basco four pass heat exchangers. 65,000 BTU propane fired boiler. 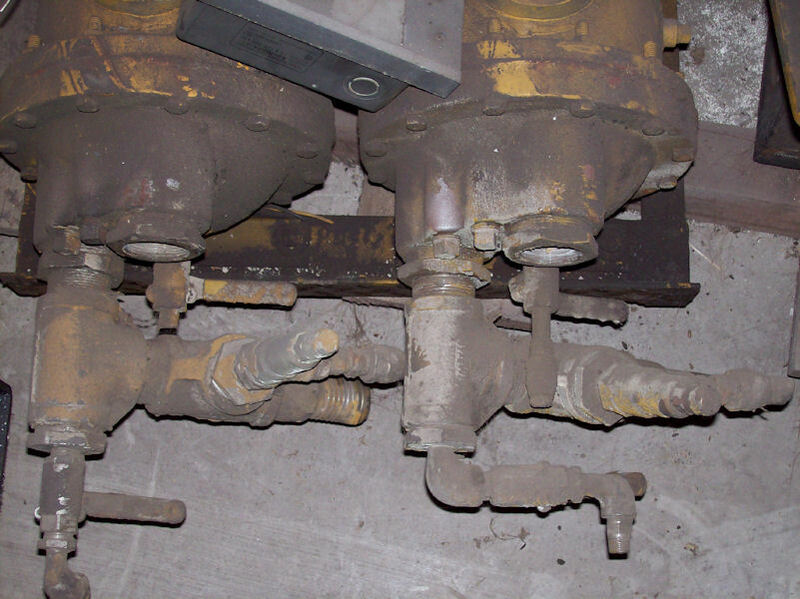 Mounting brackets for heat exchangers. 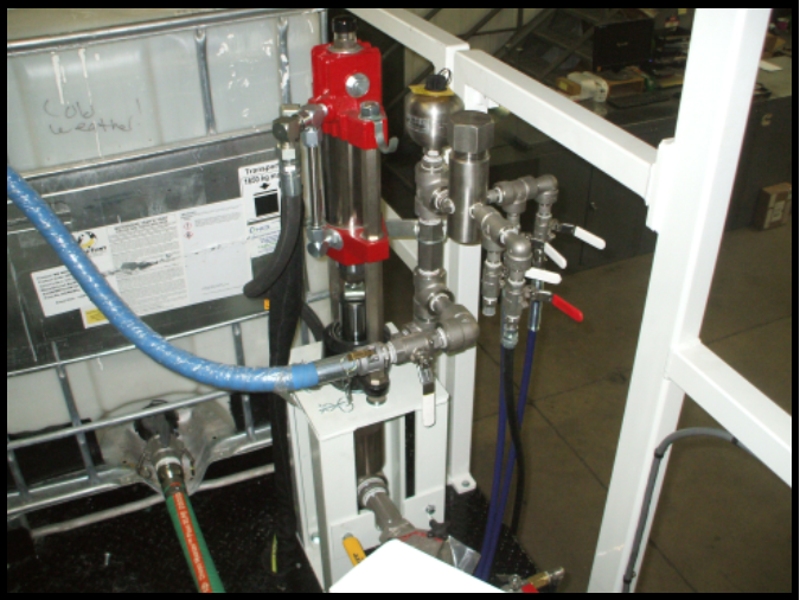 Heat exchangers equipped with 12VDC actuated water flow control valves. Heating system was working when removed. Kelly-Creswell will refurbish and test, including new 12VDC digital thermostat controls, for an additional cost. 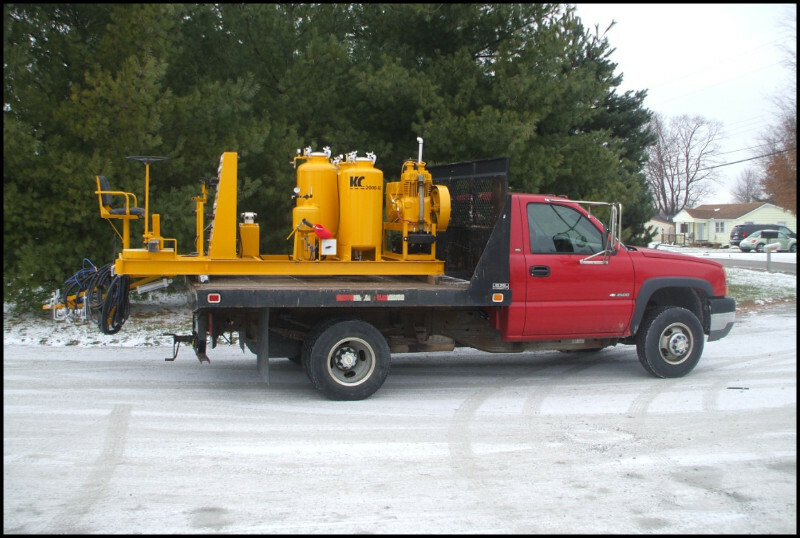 Used Paint Heating System, two each 8” X 36” Basco four pass heat exchangers, stainless steel tube with cast iron bonnets, 225,000 BTU diesel fired boiler with Wayne 12VDC burner, expansion tank, mounting brackets for heat exchangers. 225,000 BTU diesel fired boiler. 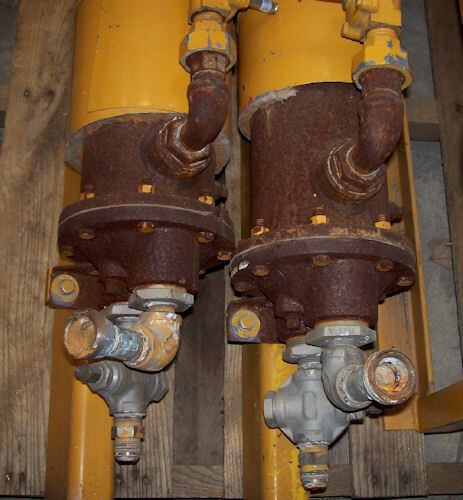 Heat exchangers equipped with air actuated water flow control valves.